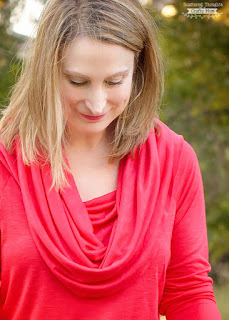 Be both cozy and stylish during the cooler months in this Cowl Neck Top Tutorial from Jamie Sanders of Scattered Thoughts of a Crafty Mom. 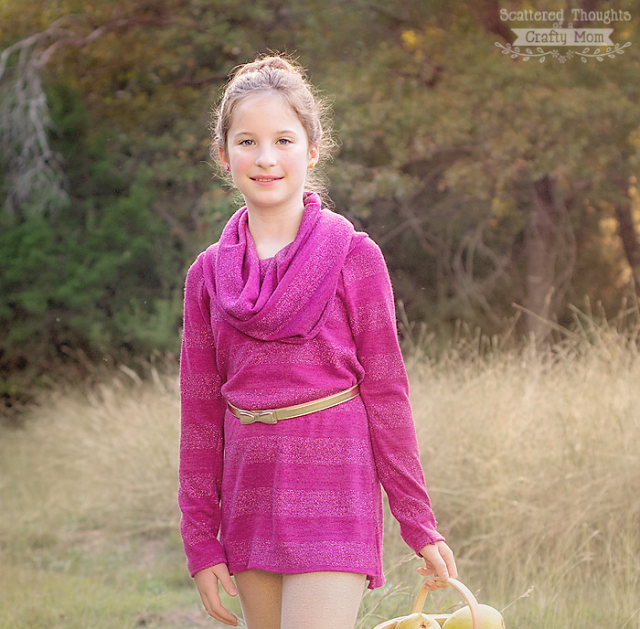 Jamie put together this tutorial as a trendy pattern hack for her FREE Ladies Raglan Tunic Sewing Pattern, and it is so cute! 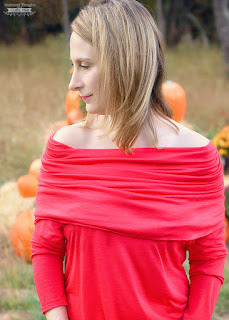 This top can be styled in many different ways, including off the shoulder, and can be dressed up or down for different occasions like holiday parties and family gatherings. 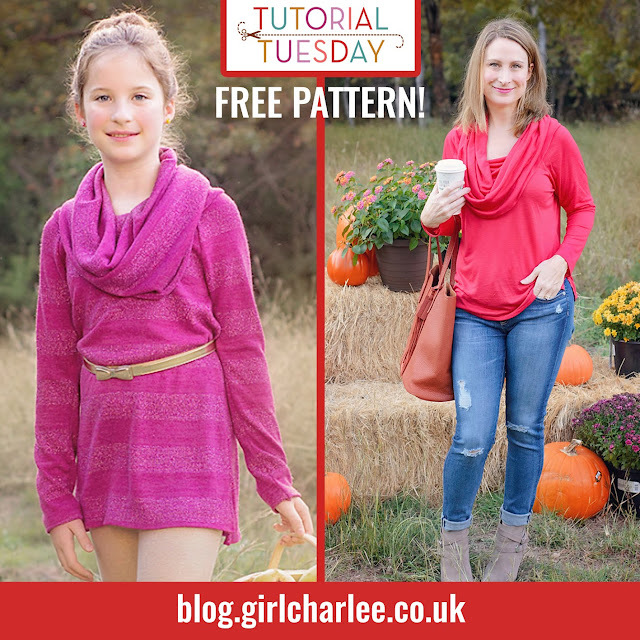 All you need is Jamie's free sewing pattern and a couple of metres of your favourite comfy knit from girlcharlee.co.uk and you'll be ready to sew! Enjoy! As an added bonus, Jamie also created a girl's version of this top!